Proteins are one of the five basic nutrient groups, along with starches, fats, vitamins and minerals. Composed of a combination of amino acids, proteins constitute the very raw material from which our bodies are made. Protein supplementation can significantly improve the health of the skin, bones and muscles. It also provides us with protection from various diseases. Where can we find protein? Firstly, from protein-rich foods, whether of animal origin (meat, eggs, fish) or plant origin (cereals, peas, soya). It is also available in our protein supplement Undenatured Whey Protein Isolate, also called Whey Protein Isolate (WPI), which consists of proteins and amino acids extracted from whey or ‘lactoserum’. Via a process called ‘microfiltration’, an isolate is extracted from whey that contains more than 90% protein. Sportspeople use it to increase muscle, reduce recovery time and get more out of their training. But Undenatured Whey Protein Isolate is not aimed solely at bodybuilders or athletes. Our protein supplements for athletes and bodybuilders can also be taken by non-sporty individuals who wish to substitute protein for part of their daily carb and fat intake. There are many reasons why adding protein supplements to your diet is good for you, giving you the right level of protein and energy to keep you active. 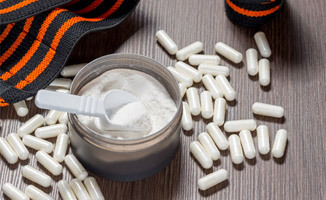 Whether you’re taking them for athletic reasons or simply want to improve your overall health, muscle protein supplements are an ideal way to enhance your diet. Here at Supersmart, you can get our Undenatured Whey Protein Isolate here, which is one of the best protein supplements available on the market. If you have any additional questions about our protein supplements for bodybuilding and health improvement, contact us at any time and we’ll provide the information you need.